Come get a great workout and learn actual striking techniques proven to be effective. Brazilian Jiu JitsuRelieve Daily Stress. Great Workout! 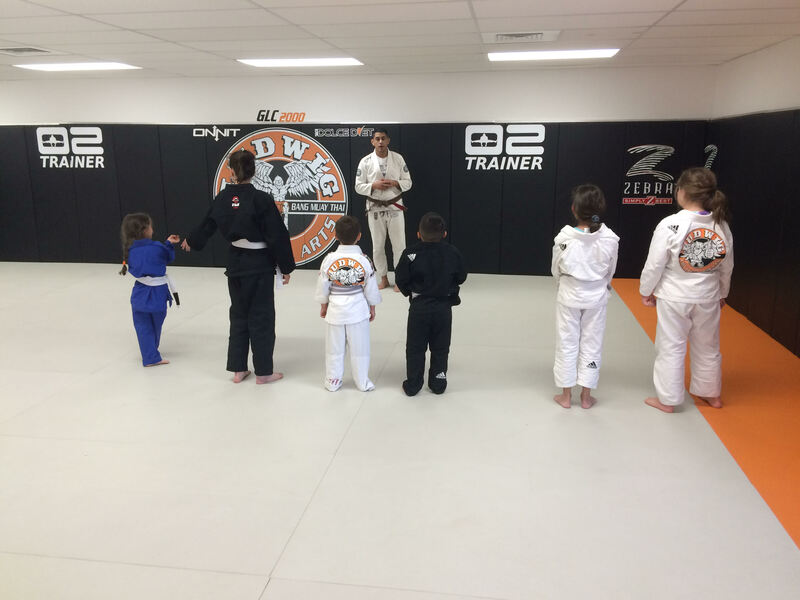 "Ludwig Martial Arts Teaches Authentic Brazilian Jiu Jitsu"
BJJ promotes the concept that a smaller person can successfully defend against a larger assailant by using leverage and proper technique, taking the fight to the ground. Brazilian Jiu Jitsu has been proven to be one of the most effective martial arts on the planet by an endless stream of MMA fighters who have arm barred and choked their way to victory. Boiled down to it’s essence, a martial art is a way to defend yourself. It’s a violent solution for a problem with no other answer. You can’t run away. You can’t call for help. And you’re now on your back with a bigger, stronger attacker on top of you. BJJ is the answer for this horrific problem. Once you grow with this system your confidence will grow and you will also start to be able to talk your way out of confrontations. The small stuff wont bother you because of your belief in yourself and BJJ. Brazilian Jiu Jitsu is an amazing full body workout. 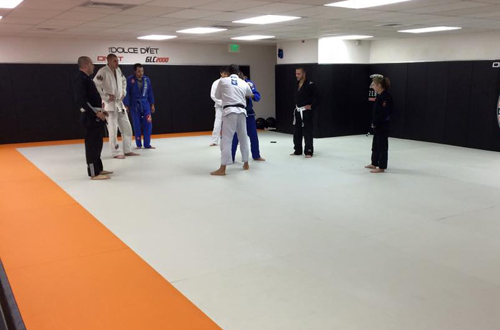 The warm up, the drills and the rolling (sparring) will literally leave you crawling off the mats at the end of class. Running and biking is dull and boring. Jiu Jitsu is engaging, fun and captivating. It’s like CrossFit but with Chokes. 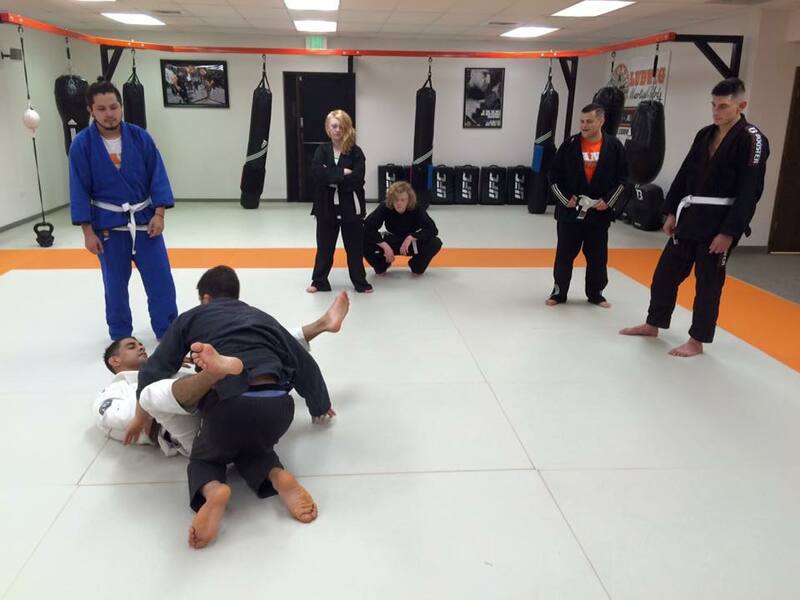 With Jiu Jitsu, you can get in get shape all while learning a potentially life saving skill. Everyone has stress in their life. Once it starts becoming too much it might be a good time to get into BJJ. Once you hit the mat, you are focused on what you are doing, not on what was bothering you before you got to the academy. You are paying attention to getting the techniques right, not anything else. You are focused on escaping from your sparring partner and trapping them with a counter move. By the time you are done with class, you are dripping with sweat and your muscles are all loose and pliant. Professor is there to guide you to that moment of bliss, to keep refocusing your attention back to where you need it to be. As you get better, you start to feel better. Since BJJ is basically about problem solving you start to use it in your personal life and think of different ways to solve your problems which in turn creates less stress.